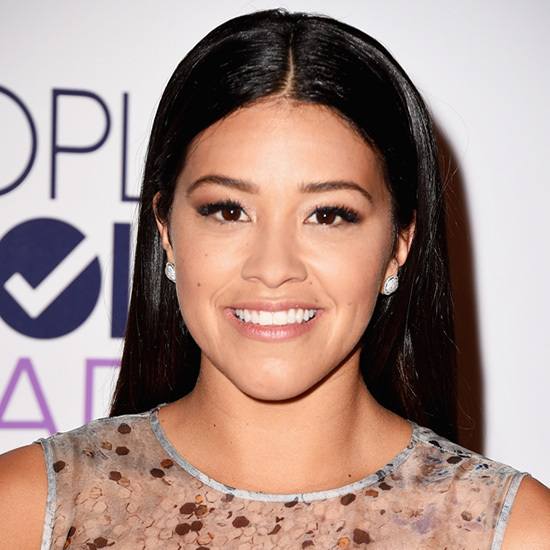 Gina Rodriguez is a virgin—a major red carpet virgin that is. The star of the CW’s Jane the Virgin is nominated for her first-ever golden statue for Best Actress in a Television Musical or Comedy for her role as Jane Villanueva, a young religious woman who becomes pregnant after being artificially inseminated by mistake. Rodriguez spoke to us about her state of mind before the Globes, what she’s wearing on the red carpet, and how she’s prepping for it all. This is your first big awards show, congrats! How are you feeling? Grateful. Blessed. Soaking it all up and enjoying every minute. It’s not every day a dream comes true. Do you have a speech prepared? No I don’t. Maybe a combination of superstition and the desire of things to happen a certain way, wanting to speak from the heart. I mean, the people I would thank, I thank them anyway for this journey I’ve been able to go on so I know who they are! How are you prepping for the red carpet—any days at the spa, a special diet perhaps? Well, I would love to do spa treatments but I don’t have any time (laughs)! All of the events are great, but we are still shooting Jane. Work’s what got us here, right? My mom is in town so she feeds me—[is] Puerto Rican food considered eating clean? To me, definitely! Do you know who or what you’re wearing yet? Can you give any hints? I think my stylist, as sweet as she is, would probably cut me if I shared anything. It’s classic and makes me feel confident. What will you keep in your purse that night? Probably a lip my awesome makeup artist lets me steal. My phone. An ID. When the Globes are over, what will be your binge meal? Oh, I can’t wait till then. We have celebrating to do this weekend! Just in moderation. But most likely Dominick’s Italian restaurant on Beverly. With all this buzz around you and your show, how do you keep a level head? I’ve been working at these dreams for years, and I have had high moments and quieter moments in my life. Enjoy it, appreciate it, and be grateful throughout it all. It’s not a race, it’s a marathon. And of course, I have a family that keep me real grounded.